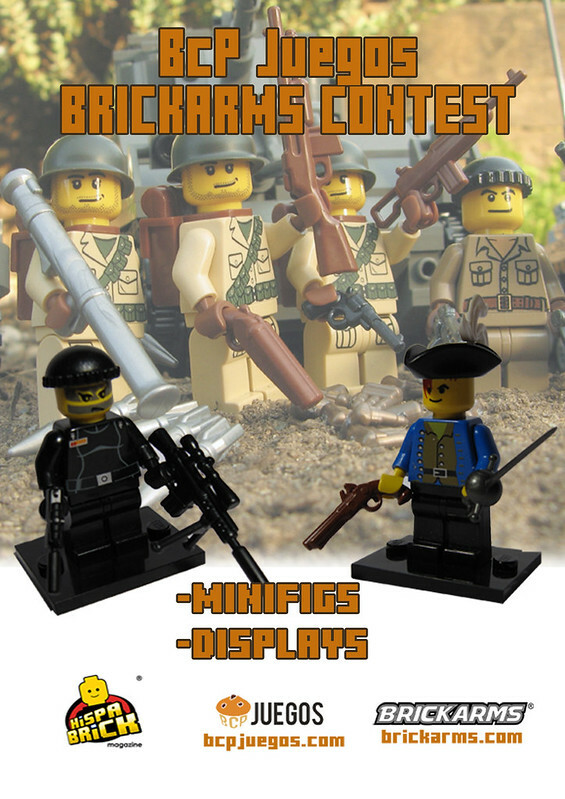 BcP Juegos, along with Hispabrick Magazine, give you a chance to win some fabulous minifig accessories from BrickArms showing your talent in a contest. You can participate in either of two categories (or both if you want). - Only BrickArms or LEGO accessories allowed. At least one Brickarms weapon replica. - Participating in the contest you give your consent to publish the photos in the next issue of Hispabrick Magazine (always citing the author of the picture). Therefore quality of the photographs will give you more chances. - A minifig with accessories, on a base of 6x6 studs maximum. - Maximum 16x16 studs. No height limit.